Steven Kellogg and Bill McKibben at Champlain Area Trails event in Essex, NY. Monday morning media mashup? From Champlain Area Trails (CATS) to Old Adirondack, there are so many local news updates directly related to Rosslyn that I’ve collected the half dozen most relevant links for you. The titles are clickable links to the primary content, so once you’ve read each blurb (in most cases excerpted directly from the article/post/site) you can easily access the full story by clicking the link. Easy! In most cases the Rosslyn connection will be pretty obvious, but one or two might need some additional information. Feel free to ask me for clarification via comments on the bottom of this blog post, Twitter (@rosslynredux) or Facebook. Thanks! This Week’s Adirondack Web Highlights On Friday afternoons Adirondack Almanack compiles a collection of the week’s top weblinks. 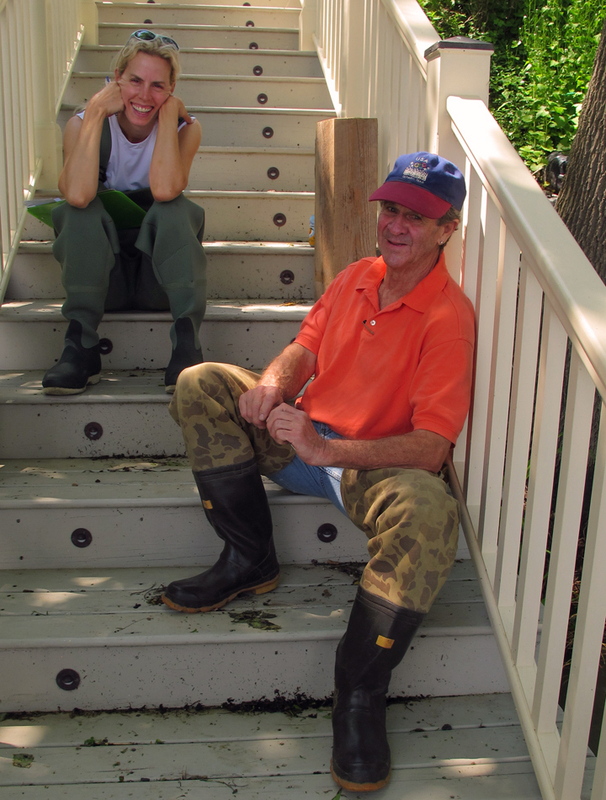 Rosslyn Redux was featured this past Friday as one of ten intriguing Adirondack stories. Check them all out and get a taste of the Adirondack experience! Conservation: Do Plastic Corks Threaten Biodiversity? 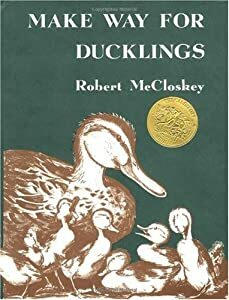 As a child, one of my favorite picture books was Make Way for Ducklings , by Robert McCloskey . Really… Okay, am I giving away too much? Probably. The way of the storyteller! There was something about those illustrations — simple unselfconscious line drawings halfway between representational sketches and cartoons — that captivated me, that compelled me to try and draw ducklings wandering and swimming. And the tidy little tale about a family of country mallards unfortunately (serendipitously?) hatching and growing up in obviously inhospitable urban Boston. A quirky story with a dark edge and a lighthearted plot. The duck family (absent father) had appeared suddenly in the meadow near them, and were heading toward the house. I set out to intercept them on the driveway to see if I could shoot a short bit of video before they startled and deviated course. Sure enough, as I walked up the shaded back driveway I saw the parade bound directly toward me. I turned on the camera and waited, wondering how close they would come before getting nervous and retreating. But this beautiful, proud and totally undaunted momma duck walked right up to me with her parade of ten fuzzy ducklings. 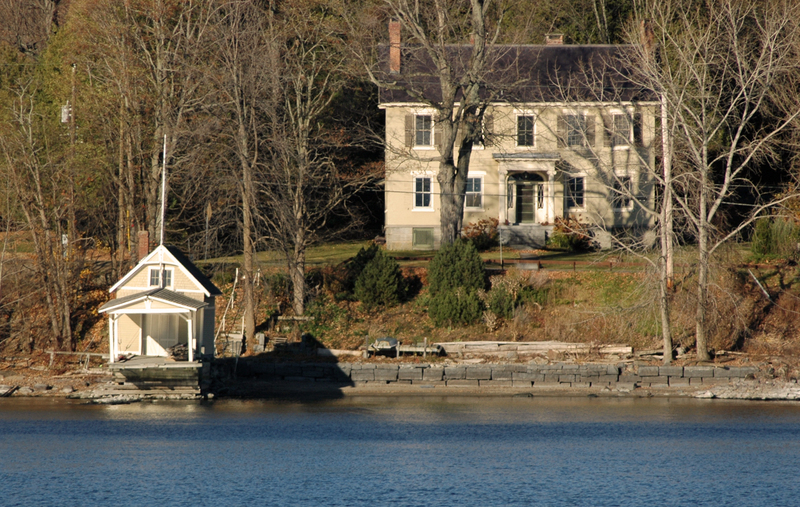 Then right past and on toward Lake Champlain. I followed and played crossing guard to make sure that all eleven made it across NYS Route 22, and before long they were all paddling away on the still flooded lake! That matriarch had promised her brood a swim in the lake, and she was going to deliver on that promise come flood, gawking homeowner or speeding pickup trucks. And deliver she did. My rough video footage, “Ducklings on Parade” only hints at the confidence and determination of the momma mallard. Cute. Darling. Nostalgic. Right? Wrong! Well, at least partly wrong. Sure, I’m human, and these fuzzy peeps did instantly soften the edges of an otherwise rough week. But cute, darling and nostalgic is only part of the equation. What, there’s more? Oh, yes, there’s more. There’s irony! Needless to say, she’s not too keen on the idea. There’ve been a couple of heated conversations. I’ve demurred but repressed the desire. At least for now.